Enjoy a summer night under the stars on the Terrace Theater! Subscription renewals start Monday, April 15. 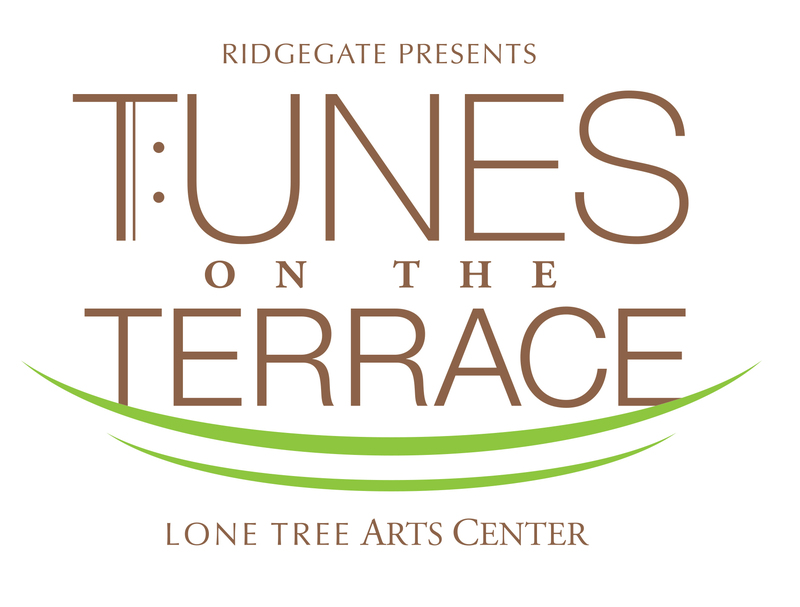 Please call the Box Office to renew or purchase your Tunes on the Terrace subscription! Single tickets and new subscriptions go on sale April 22nd. Click here if you'd like to purchase all three outdoor shows in the Tunes on the Terrace package. After Midnight is back by popular demand, this time featuring Watch Your Step, some of the best swing dancers in Colorado! Award-winning clarinetist Roger Campbell leads Denver’s Big Band Swing Jazz sextet, conquering dizzying charts by the likes of Benny Goodman, Artie Shaw, Lionel Hampton, Nat King Cole, and Frank Sinatra. With a cadre of swing dancers cutting a rug to their sounds, After Midnight is a tight, fun, and exciting kickoff to our Tunes season! Tara Vaughan’s soulful vocals and piano techniques have a unique and modern sensibility but are also reminiscent of a bygone era. In her vocal style, you can hear the echoes and influence of legends like Patsy Cline and Sam Cooke. Her abilities on the piano call to mind rock greats Elton John and Carole King. Woven together with songs and stories, She Rocks celebrates women artists and songwriters of the 1960s - 1980s. Backed by an incomparable 4-piece band, Tara Vaughan performs music from artists like Janis Joplin, Linda Ronstadt, Aretha Franklin, Blondie, Heart and many more. Steel Horse Swing mixes western swing with rodeo and cowboy classics, celebrating a musical legacy that is timeless. Reflections of Bob Wills and Hank Thompson with a dash of Chris LeDoux gives this music a nostalgic feel while keeping it fresh with original songs. Their exceptional lyrics mixed with catchy original beats blend to create an infectious western dance sound that breaks cultural boundaries. Western Swing artist Carlos Washington and his band Steel Horse Swing bring you back to a time when a song made you smile and the music made you want to dance. There will never be another Luther Vandross, but no other voice comes closer to him than that of Ruben Studdard - the remarkable singer who was hailed as the "next Luther" during his American Idol-winning run. In the 13 years since he brightened the world of pop music on American Idol with his romantic balladry, Ruben Studdard has warmed the hearts of millions! This R&B, pop, and gospel singer has built a huge fan base, recording five albums and touring with the likes of Peabo Bryson, Melissa Manchester, CeCe Winans, and David Foster. His smooth voice has earned him accolades and the nickname “The Velvet Teddy Bear” (from Gladys Knight, no less). He was nominated for a Grammy Award in 2003 for Best Male R&B Vocal Performance. For almost 50 years, The University of Texas Rio Grande Valley’s (UTRGV) award-winning Mariachi Aztlán and Ballet Folklorico UTRGV continue breaking barriers and setting a standard of excellence for collegiate ensembles across the nation. Mariachi Aztlán are recurring winners at the Mariachi Vargas Extravaganza, one of the nation’s largest, longest-running, and most prestigious mariachi music festivals in the world. Joining Mariachi Aztlán this year is the lovely 16-year old Nathania Flores, who captivated the hearts and ears of members of Mariachi Vargas de Tecalitlán with her exceptional interpretation of “Mi Tierra Mexicana,” during the 24th Annual Mariachi Vargas Extravaganza National Vocal Competition in San Antonio. Members of Vargas selected the Edcouch-Elsa, Texas native from hundreds of entries and more than 40 vocal finalists competing for the title. There can be NO OUTSIDE ALCOHOL brought into the theater. This is a State of Colorado regulation and not a policy we can change. We will have wine, beer, and cocktails available for sale. You may bring food or non-alcoholic beverages into the Terrace Theater. All shows will begin at 8pm unless otherwise noted. The Terrace Theater will open at 7pm for seating; Main Stage will open at 7:30pm. All chairs are reserved. The lawn accommodates patrons on a general admission basis. NO CHAIRS may be brought into the theater. You may bring blankets or cushions. In the event of inclement weather, every effort will be made to continue the performance indoors. Patrons will be notified via email should the venue change.